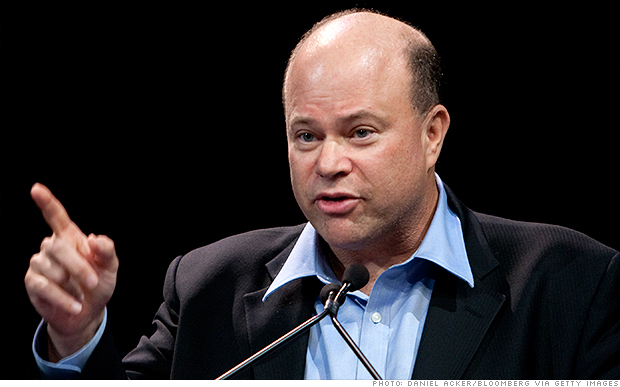 David Tepper of Appaloosa Management earned the most of all the hedge fund moguls last year. Leading the pack was David Tepper of Appaloosa Management, who earned an eye-popping $3.5 billion last year, partly by betting big on airline stocks. The silver medalist on the hedge fund titan list was Steven Cohen. That would be the head of SAC Capital, which agreed to pay $1.8 billion last year and pleaded guilty to insider trading charges. Don't feel too bad for Cohen. He raked in $2.4 billion in 2013. But this will be Cohen's last year on the list, since his firm, which renamed itself Point72 in the wake of its conviction, is no longer allowed to manage money for other investors. Instead, the firm now operates as a "family office," which means it only invests on behalf of Cohen and his employees. With $9.2 billion in assets, it's still considered a formidable force on Wall Street. Other big names in the top 10 included John Paulson of Paulson and Co. and Daniel Loeb of Third Point Management. Paulson, who rose to fame in 2007 by betting against the subprime housing market, received $2.3 billion last year thanks to several investments in telecommunications, health care, and biotechnology mergers, Institutional Investor said. Loeb, famous for his aggressive activist investor tactics, was in the news in 2013 for publicly advocating for management changes at Sony (SNE) and Sotheby's (BID). Just yesterday, Loeb won his fight with Sotheby's and is set to get a seat on the auction company's board. Even among the hallowed halls of the hedge fund world, there's a bit of "income inequality." The tenth highest paid manager on this list was Paul Tudor Jones of Tutor Investment Corp, who earned a paltry $600 million, or $2.9 billion less than top dog Tepper. Overall, 2013 could be classified as a bit of a disappointment among the uber rich. It ranks as only the fourth highest year for hedge fund manager pay in the last 13 years.